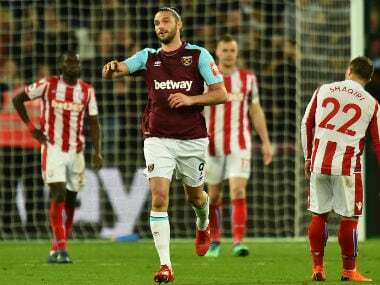 London: Andy Carroll's last-gasp equaliser spared Joe Hart's blushes after the West Ham goalkeeper made a costly blunder in Monday's dramatic 1-1 draw against Stoke. Stoke substitute Peter Crouch poked home from close-range after Hart made a hash of holding onto Xherdan Shaqiri's soft shot with just 11 minutes left at the London Stadium. 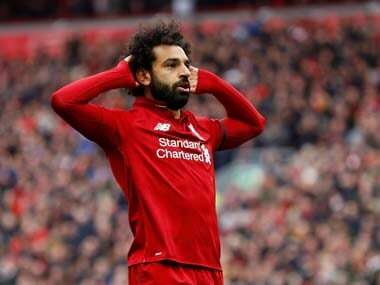 The former Liverpool striker's first goal since November put relegation-threatened Stoke within touching distance of their first win in 10 games. But Carroll came off the bench to rescue West Ham with a superb volley in the 90th minute. It was a bitter blow for Paul Lambert's Stoke, who remain second bottom of the Premier League. Stoke are five points from safety with only four games left to avoid slipping into the Championship. "It is a blow because we were so close to winning. I thought we were excellent. 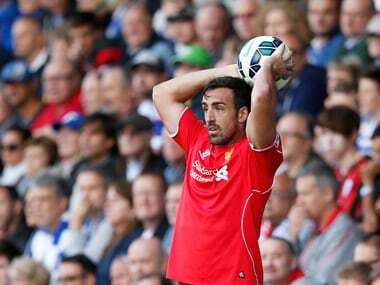 I couldn't ask for any more from my players," Lambert said. "We've been playing well. 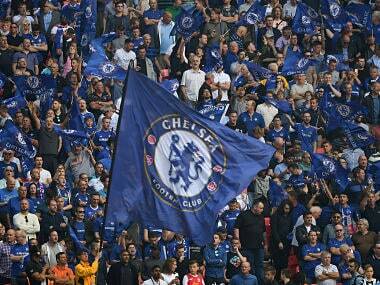 We're willing to fight and we have got the supporters behind us. A win on Sunday would really set the cat among the pigeons." Carroll's third goal of the season – in his first appearance since January – was a priceless contribution for West Ham, who are now seven points above the bottom three. "I didn't feel sharp," said Carroll of his return from injury. "The ball came in and it was right on the path of my left foot so I just whacked it!" Although Hart was relieved his howler didn't cost West Ham all three points, his mistake did little to boost his chances of starting for England in the World Cup. It couldn't have come at a worse time with national team boss Gareth Southgate watching from the stands in east London. Hart's failure to impress came while his Stoke counterpart Jack Butland – another contender for the England number one shirt – produced a solid display. 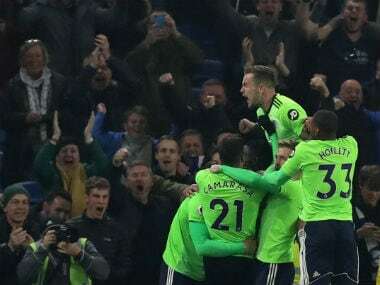 Butland made a vital save to keep out West Ham's best chance of the first half as Marko Arnautovic's point-blank volley hit his old team-mate in the face. Referee Michael Oliver was in charge of his first match since he caused a storm by giving Real Madrid a controversial penalty and sending off Juventus goalkeeper Gianluigi Buffon in the Champions League last week. Oliver and his wife were subjected to social media threats over the incident that led to Juventus's elimination. On this occasion, he was involved in three disallowed West Ham goals. First, Arnautovic converted Aaron Cresswell's cross, but he had strayed marginally offside. Then a low Edimilson Fernandes drive flew past Butland but Arnautovic, this time clearly offside, was in the keeper's way. And after West Ham's equaliser, Javier Hernandez had a goal disallowed for a foul by Carroll.